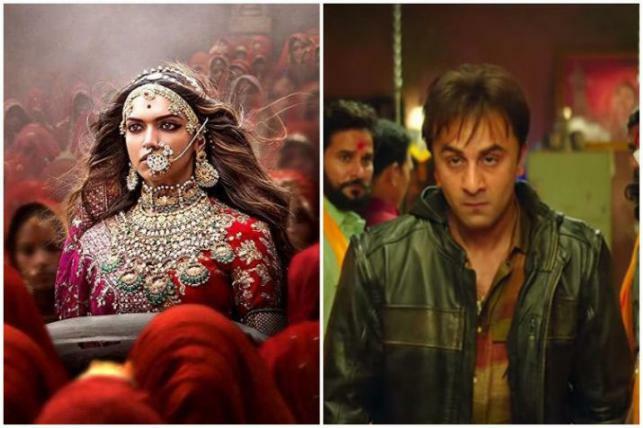 Sanjay Leela Bhansali's "Padmaavat" and Rajkumar Hirani's "Sanju" are leading the nomination pack for the Indian Film Festival of Melbourne (IFFM) Awards 2018. "Padman", "Hichki", "Padmaavat", "Sanju", "Secret Superstar", "Raazi", "Mahanati" and "Rangasthalam" are competing for Best Film, while the contenders in the Best Indie Film category are "In The Shadows", "Village Rockstars", "Balekempa", "Up, Down and Sideways" (Documentary), "Mayurakshi", "Garbage", "Sir" and "Love Sonia". In the Best Actor category, Ranbir Kapoor's "Sanju" act is up against Varun Dhawan ("October"), Ranveer Singh ("Padmaavat"), Akshay Kumar ("Padman"), Manoj Bajpayee ("In The Shadows"), Fahadh Faasil ("The Exhibit and the Eyewitness"), Soumitra Chaterjee ("Mayurakshi") and Shahid Kapoor ("Padmaavat"). Among the Best Actress nominees are Rani Mukerji ("Hichki"), Vidya Balan ("Tumhari Sulu"), Deepika Padukone ("Padmaavat"), Alia Bhatt ("Raazi"), Bhanita Das ("Village Rockstars"), Keerthy Suresh ("Mahanati"), Tillotama Shome ("Sir") and Zaira Wasim ("Secret Superstar"). For the Best Supporting Performance award, Vicky Kaushal ("Sanju"), Ranvir Shorey ("In The Shadows"), Samantha Akkineni ("Mahanati"), Richa Chadha ("Love Sonia"), Freida Pinto ("Love Sonia"), Trimala Adhikari ("Garbage") and Meher Vij ("Secret Superstar") are in competition. As for the Best Director category, Rajkumar Hirani for "Sanju", Shoojit Sircar for "October", R Balki for "Padman", Siddharth P Malhotra for "Hichki", Advait Chandan for "Secret Superstar", Sanjay Leela Bhansali for "Padmaavat", Rima Das for "Village Rockstars", Dipesh Jain for "In the Shadows", Ere Gowda for "Balekempa", Suresh Triveni for "Tumhari Sulu", Meghna Gulzar for "Raazi", Tabrez Noorani for "Love Sonia" and Rohena Gera for "Sir" are competing. To be held from 10-22 August under the theme of ‘Inclusion', this year's gala -- with over 60 films in 22 languages -- explores the diversity of contemporary Indian cinema, from Bollywood box-office hits, documentaries and art-house premieres, to a Bollywood dance competition and master classes with key figures from the Indian film industry.